We are a Catholic organization with Franciscan roots. We believe that children should grow not only in their mind and body, but in their spirit. Therefore, we offer Catholic education, guide our students in daily prayers, provide student community service opportunities and celebrate together liturgical holidays throughout the year. Our students love to lead in prayer and song throughout the year. In this photo, our student are leading a Lenten procession. 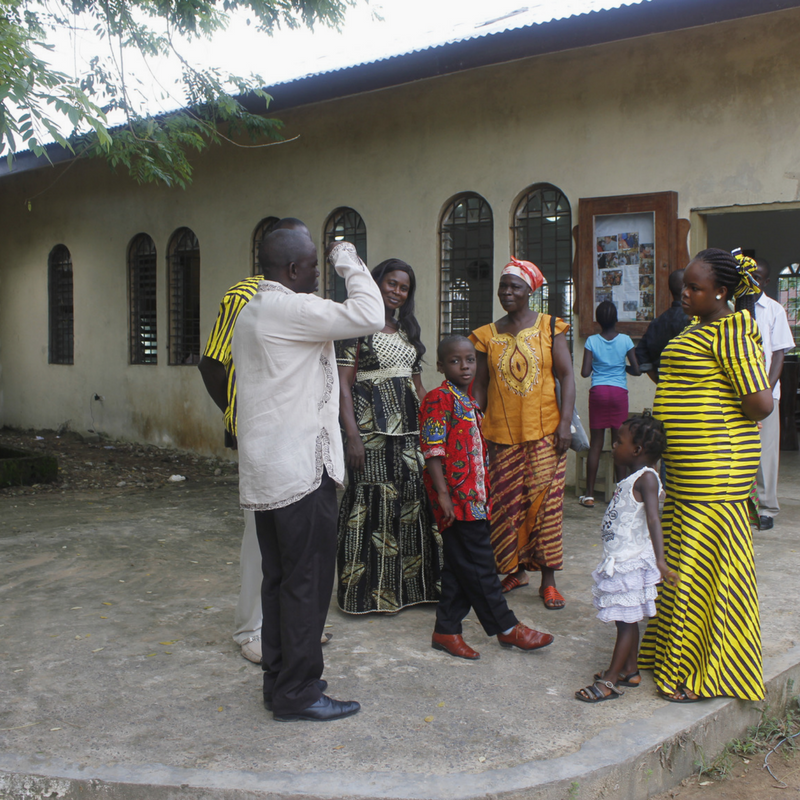 We offer mass for our community on Sundays at St. Michael the Archangel Chapel on Liberia Mission grounds and host community celebrations. Sunday Mass at St. Michael the Archangel Chapel on Liberia Mission.